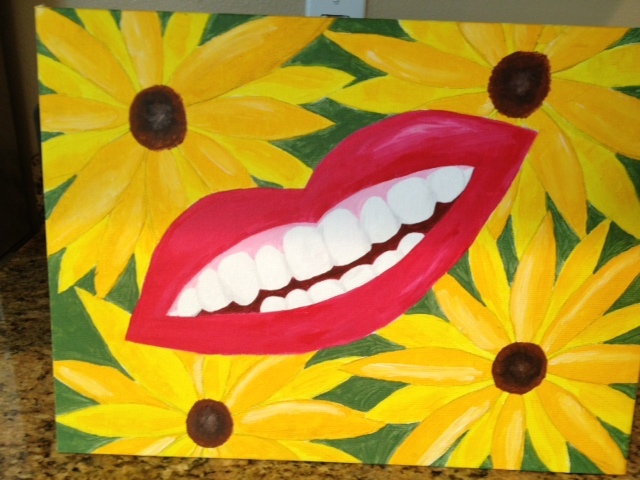 I have blogged about my daughter’s lengthy dental work in the past. The final results proved to be satisfying to both of us. No longer am I greeted at the front door with a sad face and a call to action. This would have been enough thanks but the artwork Maddie gave me recently (pictured above) is a daily reminder of our journey. Her painting occupies a place of honor on my office wall. Maddie leaves for college in less than a week. Have a great summer. Enjoy your kids. They grow up quickly and leave in a heartbeat. You are currently browsing the Dr. Hauss' Blog blog archives for August, 2013.